At the end of The Beaches of Agnès,” Varda asks, “What is cinema?” repeating André Bazin’s essential question. She is standing in one of the witty structures — a house of cinema — that she had fabricated for her multimedia installations. Cinema is light, images, dark, color, she says, over shots of the edifice with its metal frame and walls of film strips. Soon, she is inside. “In here, it feels like I live in cinema, cinema is my home,” she says. “I think I’ve always lived in it.” In the last shot, Varda is looking directly at the camera — at us — framed in an open door that feels like an invitation. More than anyone I have known, Agnes was a rigorously unsentimental lover of people – strangers, family, friends, neighbors, and young aspiring artists. She cared about humanity but never, for a second, did she, or could she ever, lapse into dreamy, treacly, sugary or even sunny thoughts about the goodness of people. Her affection was genuine, astringent and jaundiced: it was never simple. 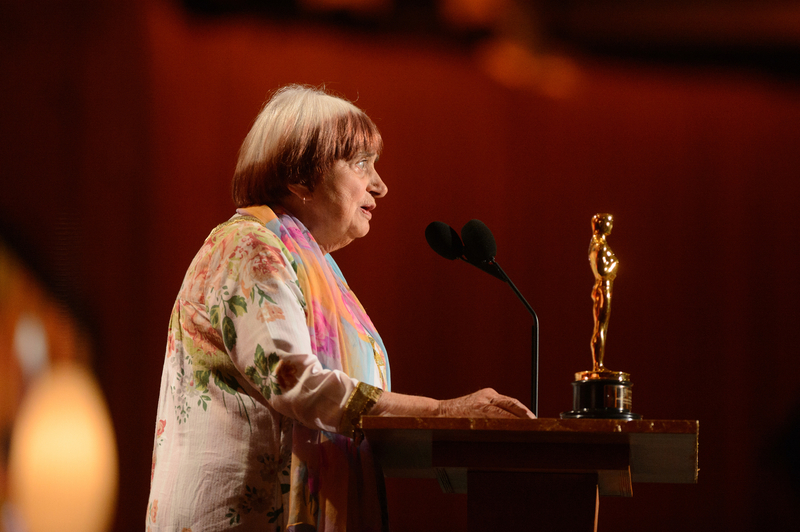 Agnès Varda may bear the intimidating title of ‘grandmother of the French New Wave’, and be lauded as a pioneering member of the Left Bank, but her work is surprisingly accessible. She was an endlessly curious filmmaker whose interest in the margins of society and female subjectivity, together with her vocational background in photography, resulted in a playful and fiercely political body of work. Making a film about another late icon, Maria Irene Fornes, Michelle Memran writes about how her 15-year journey from idea to premiere culminated with a diagnosis of breast cancer. She shares her story in Talkhouse. When I first met Irene, I was an insecure 25-year-old, just coming out of the closet, and I clung to her words like talismans. Now as a 44-year-old confronting cancer, they had a new, heightened resonance. “In shutting oneself off,” you can see her tell me in Cuba in 2004, “you miss a lot of things that you could enjoy, and things you could learn and expand yourself and become a really vital and interesting person.” She would never let a disease – or anything else, for that matter – limit her. Film School Rejects’ Emily Kubincanek discusses Amy Berg’s HBO series The Case Against Adnan Syeed and ponders why we love unsolvable mysteries. IndieWire’s Tambay Obenson interviews filmmaker RaMell Ross about his curating gig at Full Frame this week. This week, Discovery and BBC announced a 10-year partnership, highlighted by the former’s new streaming service to be launched in 2020. RealScreen’s Selina Chignall reports on a press conference hosted by Discovery’s David Zaslav and the BBC’s Tony Hall. “We think it’s mission-critical…and it has nothing to do with these other broad streaming services,” said Zaslav. “It’s really about the transition of content – content is available on every platform. To be able to curate the best content and the best stories in one place in every language is something that, irrespective of these broad entertainment platforms, we think is necessary,” said Zaslav. One thing all the data points to about movie ticket subscription services is that they increase movie-going and concession sales. At a time when millenial moviegoing has become a mystery Hollywood can’t seem to solve, subscription services like Spotify and Netflix have proven to be a far more effective way to reach a generation with an on-Demand and love-to-sample consumer habit. One way to do that: change the ticketing game. I love when people say there is energy in the film, and tenderness. But I don't see myself as charming. An old lady, small, vaguely fat: I don't see myself as charming at all. I see myself as an old woman, obsessed with filming life, who loves to invent.